Johnny rockin' the blues "live" was (is) a treat. Saw him in concert a few times and damn that cat can wail the blues guitar. 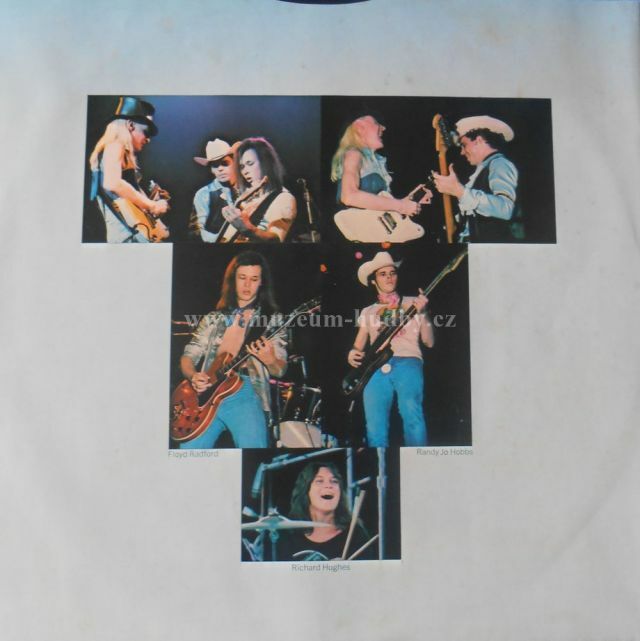 If you are into southern blues rock and never got to see this dude "live", get this lp to see what you missed. In the summer of 2113, I got to see Johnny, brother Edgar, Rick Derringer, and Kim Simmonds on the same venue at an outside concert at a winery in Sunbury Pa. What a night! I just love Winter's guitarwork in this live record. Just six songs here but the songs are mostly pretty lenghty. This is a blues rock album but the basic rock and roll influences are very clear too. The last three songs might be my favourites in here. Johnny's versions of Bob Dylan's "Highway 61 Revisited" are usually very special and this live piece is not an exception. "Sweet Papa John" is his own material and it's also quite amazingly performed here. His solos are killer. The B-side is flawless and worth of five stars. The A-side is a strong one too and it deserves maybe four stars. As a totality this is one hell of a live album by this blues legend. 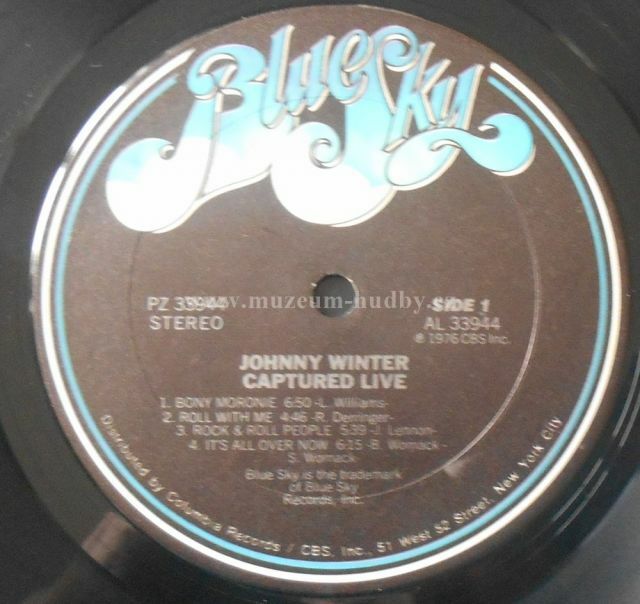 Issued by Blue Sky Records during the era when double-LP live sets were a staple, the 1976 release of Johnny Winter's Captured Live! may be limited to a mere six songs on one single slab of black vinyl, but in the end it comes down to what is burned into the grooves that matters most of all. The raucous Captured Live! leaves the listener wanting more from the Lone Star State blues-rock guitar slinger. 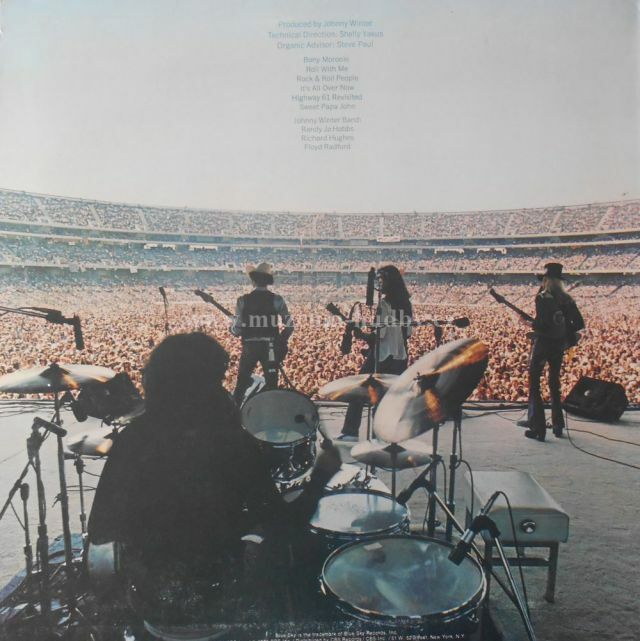 Covers dominate the concert recording, with J.W., backed by second guitarist Floyd Radford, pushing his hired guns through a tight set that features an inspired roll through "It's All Over Now", and concludes with a back-to-back pairing of lengthy jams, which commences with a ten-minute version of "Highway 61 Revisited". The Bob Dylan penned cut gives way to the extended "Sweet Papa John". By the time "Sweet Papa John" concludes, you'll be cursing the fact that the big brass at Blue Sky didn't allow Johnny to go the twin-LP route. 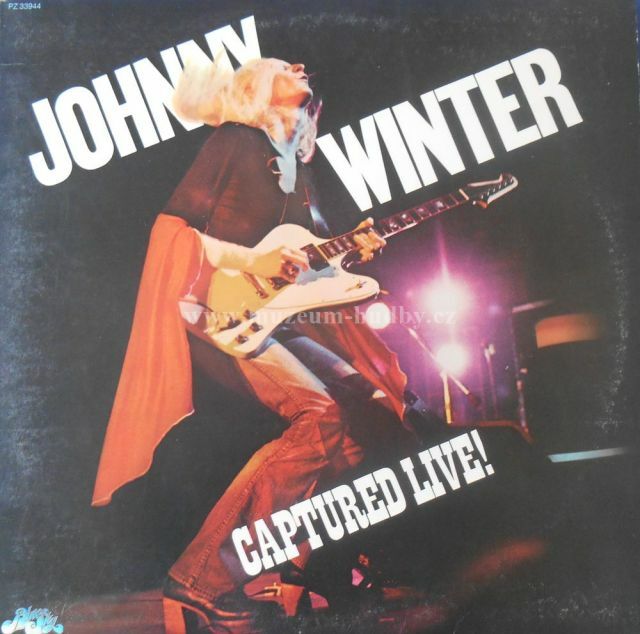 This is another great live recording by Texan guitar hero Johnny Winter, one of the greatest masters of Blues-Rock. Recorded in the mid-1970s, this set presents Winter at the peak of his form, delivering a "total" performance as only he can. Accompanied by second guitarist (Floyd Radford), bass and drums his energetic and brilliant guitar work and unique vocals are simply overwhelming and any guitar fan will find this irresistible. The set includes two extended (over 10 minutes long) tracks, which are guitar heaven and awe inspiring. In fact one could say that no other guitar player since was able to achieve the same level of inventiveness and inspiration as Johnny Winter. An absolute must to all Winter and Blues-Rock fans! There is no doubt in my mind that this show would have been absolutely spectacular to see live. Johnny could really tear it up on the guitar during the seventies and eighties. 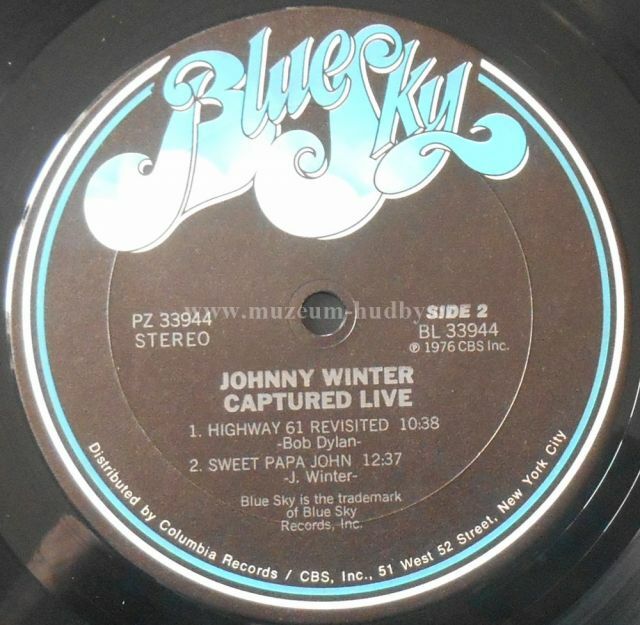 However, Captured Live does not transition as well to the record. This comes as no surprise as I was not overly impressed with Johnny Winter And... Live for the same reasons. I'll watch clips online of him playing some live set in either the seventies or the eighties and notice much more than I would have if I had just heard audio. Winter and company exert an enormous amount of energy when playing that the atmosphere must have been electric. Then I hear testimonies from those older than myself who have had the privilege of seeing him live back in his prime. Almost everyone agrees that Winter could put on a damn fine show. This just strengthens my opinion that Winter is best served live, in both audio and visual form. Captured Live is good, but not great. The album pulls largely from John Dawson Winter III (four of six tracks), a piece of work that I particularly enjoy. On both albums, Winter has some great guitar solos and does a fantastic job differentiating between solos so that they do not all come across as standard note-bending, blistering blues rock solos. 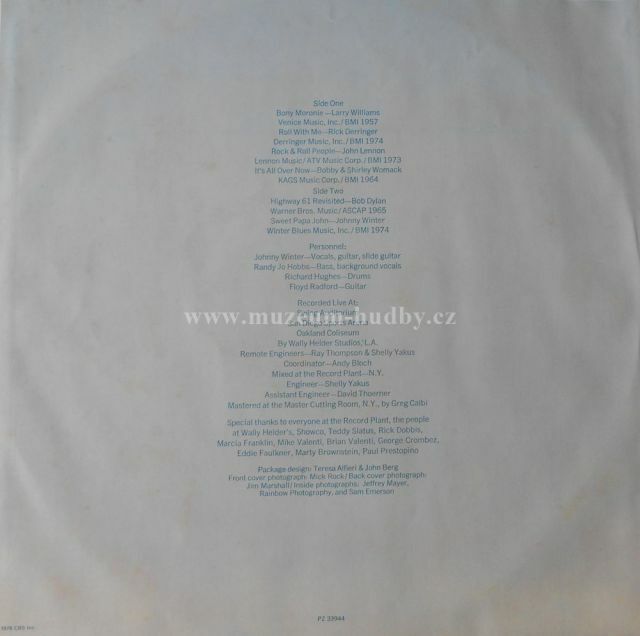 On the other side, about half of the album comes 'as expected' with the group playing album favorites with little change from their studio versions. Six tracks, no standouts. "Bony Moronie" is always entertaining to listen to and is good on Captured Live, but not great. There are three other tracks from John Dawson Winter III: "Roll With Me," "Rock & Roll People," and "Sweet Papa John." The first two of these three were not my favorites on JDW3 and the same applies here. "Sweet Papa John" and "It's All Over Now" are as close to standout tracks as this album is going to get. The former is a twelve plus minute track, deliciously bluesy and long - filled with great guitar solos and of course the wonderfully suggestive lyrics. Look to this track as the only track from this album that bests its studio cover. Winter's cover of "Highway 61 Revisited" is also filled with nice solos and has decent length as well, but again, not as spectacular as the original. Winter's vocals are a bit lazy during this track - substituting the original vocal melody for one a bit easier. If you enjoy mid-seventies Johnny Winter and company (especially John Dawson Winter III), you will most likely enjoy this as well. The tunes are good, but in my opinion, not his best. Great live album on which Johnny plays more hard-rocking stuff than in the beginning of his career. Second guitarist Floyd Radford plays some damn good licks himself but it's Johnny who tops him. And the man has a great voice too! Johnny @ the peak of his mid 70's powers with underrated guitarist Floyd Radford the perfect foil. Only complaint is the overy long and somewhat boring album closer "Sweet Papa John". I could of easily substituted one of Winter's more rock tracks from his backcatalog of the same era that would of fit better. I.E. "Can't You Feel It"," "Still Alive And Well".